Invasive Species Management | Keystone Environmental Ltd.
Invasive species management looks at invasive species such as plants, animals or other organisms not native to BC whose introduction can spread harm to the province’s native species and economy. Most invasive species are unintentionally introduced into places outside their native habitat and, once they’re removed from natural predators and diseases they often reproduce, spread and survive better than native species. Invasive species are moving across BC and Canada at an aggressive pace with far-reaching impacts on human, economic and environmental health. With few limits on their populations they can easily take over sensitive ecosystems – permanently upsetting the balance of plant, insect, bird and animal life. The negative impact on BC ecosystems can be extremely difficult to reverse which is why prevention and detailed information on the impact is critically important for the health of our province. The Forest and Range Practices Act requires forest and range managers to specify and implement measures that prevent the introduction or spread of the invasive plants listed under the Invasive Plants Regulation within their forest stewardship plans, woodlot licence plans, range use plans, and range stewardship plans. The Weed Control Act requires all land occupiers to control the spread of provincial and/or regional noxious weeds on their land and premises, and specifies provisions for transportation, movement, and cleaning of machinery. The purpose for the Act is to protect the province’s economy, natural resources, and society from the negative impacts of foreign weeds, and is administered by the Ministry of Forests, Lands and Natural Resource Operations. The Integrated Pest Management Act regulates herbicide applications that may be used to control invasive plant infestations. 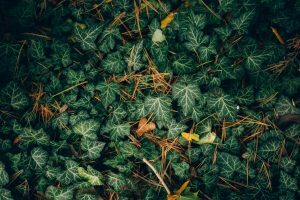 The Community Charter is enabling legislation that provides powers that municipalities may use for, among other things, invasive plant control. Authority for invasive plant control is available under either weed control powers or broad powers for the protection of the natural environment. The Wildlife Act – Controlled Alien Species Regulation is a regulation that controls the possession, breeding, shipping and releasing of alien animals (i.e. that are not native to BC) that pose a risk to the health or safety of people or the environment. Under Sections 6.4 and 6.5 of the Wildlife Act, the Ministry of Environment has authority to designate species as controlled alien species and to regulate these species. The Local Government Act is enabling legislation that provides authority to regional districts to establish a weed control function, and administered by the Ministry of Community Services. The Act enables Regional Districts to manage provincial and regional noxious weeds, which are those invasive plants listed under the Weed Control Act regulations. Keystone Environmental has completed invasive species management plans for projects requiring removal, treatment or a combination of these methods and we work closely with different levels of government where invasive plant removal or herbicide applications are planned in proximity to watercourses.